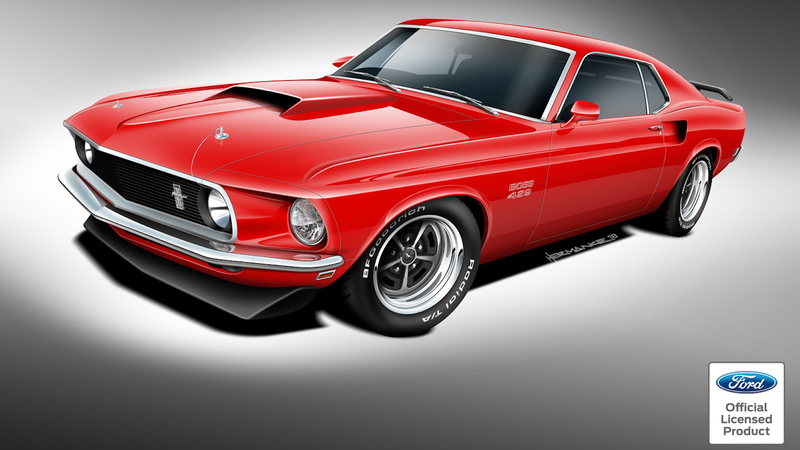 The 2018 SEMA show will be used as a platform to debut a series of all-new, Ford-licensed Mustang Boss 429 continuations. 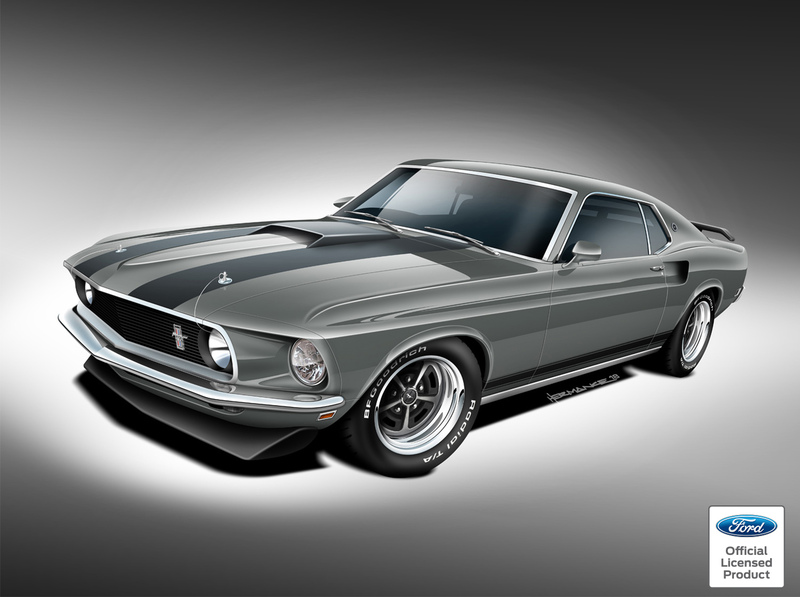 The turnkey classic Boss Mustangs are the first of three Fords from the 1969-1970 year range available from Classic Recreations, and as you'd expect, these top-notch muscle cars pack a serious punch in terms of style and power. Based out of Oklahoma, fabrication house Classic Recreations is the first ever to offer a Ford-licensed continuation of the classic Mustang Boss and Mach 1 models. The Boss will sport a brand-new Ford body and be fitted with a custom-built Boss 429 V-8 engine that’s stroked to a massive 514 cubic-inch displacement. During the build of the powerplant, the company updates the valvetrain and ECU, and the car is given a modern EFI fueling system, opting not to use the original carburetor-based design. Backing the powerful V-8 is a drivetrain equipped with a twin-disc Centerforce clutch and flywheel, which are designed to handle 1,300 pound-feet of torque. 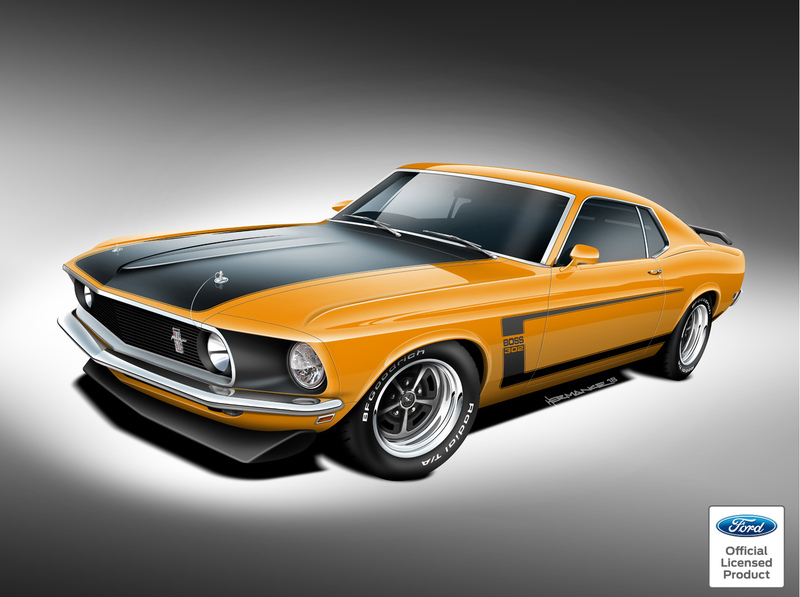 In addition to the heavy-hitting 429, Ford Mustang Boss 302 and Mach 1 projects are currently being developed by Classic Recreations. For the Boss 302, buyers will get the option of having the car with a 5.0-liter Coyote V-8 crate engine from Ford Performance, or a 383 c.i. stroker engine under the hood. Mach 1 models will be available with any of the engines offered by the tuner. Pricing is still unknown for the Boss 429, or any of the models in the trio. You can expect it to cost quite a bit less than you could nab a restored example for, but could carry a price tag close to $100,000. Lead time is about four months on each car as they are built-to-order. RAD Dan Burkett and RAD Industries bring their Formula Drift Toyota Supra to be showcased at SEMA.